old son, Chambers said it is hard to separate herself, sometimes, from what goes on in the NICU. Watson said Chambers has always given her all at everything she does. “That’s her story. Whatever she does, she does to the max,” Watson said. “Whether it’s school, college, family, nursing … she puts her whole heart into whatever it is.” Chambers said she would eventually like to return to school to pursue a career as an Advanced Practice Nurse, probably through an online degree program. She is interested in a speciality in women’s and children’s health, she said. Tracy Adams, RN, was born to be a nurse, although she didn’t realize it at first. With 30 years of experience at Mercy Fort Smith, the much-loved heart nurse actually missed out on a free car from her father over nursing. Chuck Perriello, a former nurse who became a hospital administrator, told his daughter he would buy her a car if she took up his challenge to become a nurse. She chose business school instead. After a year at the University of Arkansas, she quit and moved back to the River Valley and started work for a trucking company. 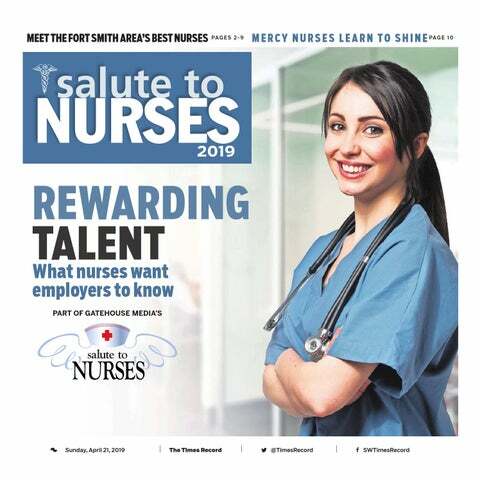 One day, with the trucking company in dire straights, Adams' friend Tammy Hayes said “Let’s go to nursing school.” They both enrolled at Westark Community College, now University of Arkansas at Fort Smith. Adams called her father and asked if the offer for a car still stood. Unfortunately, the opportunity had passed for the car. But the career option of becoming a nurse had not. While her friend dropped out in the third semester, only to come back later and finish up, Adams stuck with it and started at Mercy as a nurse's aide while she finished up her training. After graduation in 1990, she started full-time at Mercy as a registered nurse and has spent most of her career either in or around the cardiology “cath lab.” Her husband, Eric Adams, also works at Mercy Fort Smith as a pharmacist. “My husband asked me just the other day, ‘If I could do it all over again, would I?’ I said ‘Yes. I would be a nurse again. Johnson said of working at the agency in comparison with working as more of a hands-on nurse. “In each position I’ve had, I’ve been able to feel like I’ve made a difference to the patients. Here, though, at this current position, because I am over so much, there’s so much more I can help with. I feel like I can make a bigger impact.” To receive assistance from the Area Agency on Aging, the first step is to call, Johnson said. “There are so many patients, and people in general, they don’t have to be our patients,” Johnson said. “You’re able to see a need and work with that.” Case managers work together to help those being served by the agency to assess their needs. of hearing you talk about it; just go do it. And so I did. All the nurses there were very encouraging. Really, I don’t think I would have done it without that nurse saying ‘Do it.’” Johnson said she’s worked with a lot of supportive nurses and physicians over the years. “They were encouraging, and I think that’s really important, too, in the department you work in, making it a happy experience,” she said. Johnson was nominated by former co-worker Misty Hile, who is now with Mercy Fort Smith. “She pours her heart into her work, treats everyone with dignity and compassion, and believes in her ministry of service through her career,” Hile wrote in her nomination. COMPETITIVE WAGES & BENEFITS SIGN-ON BONUS IN CRITICAL NEEDS AREAS* SHARED GOVERNANCE STRUCTURE EDUCATIONAL ASSISTANCE *TO APPLY, ALL LICENSED APPLICANTS MUST BE CURRENTLY LINCENSED IN THE STATE OF ARKANSAS, WITH NO RESTRICTIONS. most challenging part of her job, Sanderson says. “Nurses are ‘fixers,’ but when it is up to the patient to take responsibility for their health care and either they don’t or feel like they can’t, the education process is challenging,” she says. Anyone interested in going into the nursing field should do so because it is their calling, Sanderson says. “You have to have a true heart for it, otherwise you will not be happy,” she says. “You can have the best supervisor, money, the best hours — but unless you truly love what you are doing to help others, you won’t be happy.” Sanderson’s family includes three children. being able to help everyone, she said. “I love to see people happy and healthy, and when you are unable to provide that, it feels like you have failed them,” she said. Dodd says her advice to someone interested in becoming a nurse is to “learn to put whatever is going on in your life aside and don’t let it interfere with how you care for your patients. “Treat your patients the way you would want your most loved to be treated,” she says. Dodd’s family includes her daughter Mila Dodd, mother Cerisse Harcourt, father Jeff Roberts, sisters Brittany Bass and Anna Harcourt and niece Ava Goetz. “Each day, I get the chance to work alongside wonderful physicians Times Record State and make a real impact in the lives Nycole Oliver, DNP, APRN, of Bap- of our patients.” tist Health Family Clinic on Dodson Nycole Oliver Avenue in Fort Smith, recently was selected as one of the Arkansas Center for Nursing’s “40 Nurse Leaders been recognized for her leadership and Under 40” for 2019. nursing skills. Oliver has won numerous The recognition is intended to awards from the American Association identify, celebrate and encourage of Nurse Practitioners (AANP) and the exemplary dedication and leadership Emergency Nurses Association. She’s in the nursing profes- had the privilege of traveling the world sion, states a Baptist and speaking to other nurse practitioners Health news release. at international conferences, as well as Applicants were also writing content for nursing education selected for their com- guidebooks, the release continues. mitment to wellness in Oliver earned her doctor of nurstheir communities. ing practice from the University of Oliver “I am truly thank- South Alabama in 2015. She began her ful for this recognition career in health care in the Emergency and the opportunity to be a nurse Department of Baptist Health-Fort practitioner in the western Arkan- Smith in 2001. The Greenwood native sas,” Oliver says. “Each day, I get the is married with one son. chance to work alongside wonderful Oliver will be recognized alongside physicians and make a real impact in other nursing professionals during the lives of our patients.” a ceremony April 30 at the Benton This isn’t the first time Oliver has Event Center in Benton. Rebecca Sisemore Rebecca Sisemore is a California native who grew up in Charleston and now lives in Fort Smith. She works as a nurse with Dr. John Swicegood at Advanced Interventional Pain and Diagnostics. She studied at Westark Community College and the University of Arkansas at Fort Smith. Sisemore has been a nurse for 38 years and says a love of science and helping others was part of what drew her to the field. give up. “School can be hard, but success comes to those who persevere,” she says. “Also, be willing to work hard and adapt to change. It’s important to love what you do!” Sisemore’s family includes husband Randell, sons Andrew, Cole and wife LaShey, Connor, Cade and Cooper, daughter Kaitlin and husband Ryan, mother Aleta and Otha Sewell and father Jim and Jenny Gattis. she says. A challenging part of the job is seeing those patients leave after they get well because of the attachments that are made. Archie encourages anyone who is interested in nursing or the medical field to enroll in school, study hard, and don’t give up. We can help you for a few hours or 24 hours a day, 7 days a week! certification. There are only 40 throughout the state of Arkansas. “That makes you a champion within the department,” Harp said of the extra certifications. “If you have a complicated stroke patient or a complicated trauma patient, you have those nurses who are certified, you have that higher level of understanding to help your team members.” The ER nurses’ certifications are on display in the department. “All these different certifications any nurse can get benefits their department,” added Brandon Thomas, RN. “The SHINE program really encourages staff members to pursue those where they otherwise wouldn’t or maybe hadn’t thought about it.” Through the SHINE program, Alyson Allred, RN, recently helped spearhead safety changes within the ER. This included changing some elevator access that had been questioned. Thank you to our dedicated team of school nurses for helping ensure the health and safety of our students! and fatigue and sleep deprivation set in. The result can be similar to the functional equivalent of an increased blood alcohol content, Schmitt said. Insufficient nurse staffing can also lead to job dissatisfaction, Schmitt said. California was the first state to mandate minimum nurse-topatient ratios in acute care hospitals, and 14 others have addressed staffing in hospitals with laws or regulations, according to Nursing World. “It all sounds well and good, but it cuts both ways. 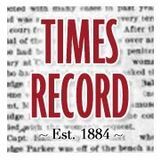 If there’s a big turnover or people are out sick, then overtime will have to be mandated,” Schmitt said. Money not the only benefit To keep nurses on the job, “money is always important,” Schmitt said. Sign-on and retention bonuses may help get someone through the door and on board, but unless a nurse feels valued and supported, he or she will not necessarily stay, she said. “Things like salary and benefits alone don’t work. The practice environment where nurses can be autonomous professionals and provide the care they determine patients need is essential,” Glassman said. A shared governance model that gives nurses a voice is essential for job retention, Schmitt said. Things need to operate “not so much top-down but a blend of bottom up,” Schmitt said. n the list of most in-demand jobs for 2019 from jobs site CareerCast, registered nurse ranked third, behind application software engineer and medical service manager. Right now is a great time to be or to become a nurse. Look at these statistics: 1.6 million With an aging population and exciting advances in medical care, the country is in great need of more health care professionals. Georgetown University’s Center on Education and the Workforce projects that the economy will create 1.6 million openings for nurses through 2020. 200,000 The nursing workforce is facing a projected shortfall of about 200,000 by 2020, according to the Center on Education and the Workforce. Of the job openings, 700,000 will be newly created opportunities, and 880,000 will result from retirements. $68,450 The median wage for registered nurses is $68,450, according to the Bureau of Labor Statistics. Earning potential rises with specialization and experience and varies by location and other factors. For example, the median wage of a nurse practitioner is $107,460. nursing as the most trusted profession, according to Gallup Poll. More than 4 out of 5 people rated the honesty and ethical standards of nurses as high or very high. Alma School District appreciates our School Nurses for their expertise and service to our students, schools and community! urses are always on the front lines of a crisis, including the nation’s opioid crisis. In their capacity as advocates for responsible prescribing of opioids and treatment of addiction, nurses are battling a public health problem that takes 115 lives a day, according to the National Institutes of Health. Affecting people across all walks of life, the opioid epidemic peaked around 2012 and is now experiencing a positive downturn, said Patricia Eldershaw, assistant professor in the School of Nursing at Bangor, Maine’s Husson University, where she teaches a Eldershaw unique course that focuses on addiction and population health from a “social determinants of global health” approach, or the conditions in which people are born, grow, live, work and age and how that’s shaped by the distribution of money, power and resources. The course is part of Husson’s required curriculum for its graduate and post-master’s nursing programs. Turner A comprehensive understanding of the complexities of the addiction crisis will allow health professionals to be better prepared to work with and alleviate the suffering that comes with opioid addiction, Eldershaw said. “Nursing is synonymous to patient advocacy; as a nurse, it is our responsibility to advocate for the patient in each and every aspect of their care,” said registered nurse Velondria Bursey, director of nursing at Greenhouse Treatment Center in Grand Prairie, Texas. “We are their educators, interpreters, the bridge between doctor and patient and anything else we must be to provide quality care and lead them to the road to recovery.” New expectations One of the biggest issues nurses who work with opioid-addicted patients face is dismantling stereotypes of substance abuse. “We’re also changing what it means to care for patients with an opioid addiction while also managing chronic pain issues,” Bursey said. Courses like the one at Husson are pushing a new understanding of addiction and treatment, said Kelly Turner, assistant professor and graduate coordinator in the School of Nursing at Husson. “I wish I had this education as a new provider,” Turner said. Not all pain is manageable, and America has found itself in a precarious predicament where it seems pain-free is a necessary outcome. To achieve this required higher and higher doses of opioids, a sole focus on prescriptions and the insistence that medication is the only option, Eldershaw said. “This undermines pain management philosophy,” she said. “Now, there is a stigma attached to opioid use, but for many years patients have been prescribed opioids in high doses and have been told it’s safe. It’s medicine,” Turner said. “Now we think about it differently. There’s been a shift in the message, and some people feel almost betrayed. It can be a high-stress conversation” when talking to patients who have become addicted to medications prescribed by health professionals. “On a daily basis, we see patients and families affected by this epidemic grasping at any glimmer of hope that their loved one will one day overcome this disease that has taken over our country,” Bursey said. Striking a balance Nurses need to have compassion as well as firm boundaries. “Those will help get your patients through some of the most difficult days of their treatment,” Bursey said. “Compassion and empathy are what allow you to reassure your patient that it will get better and the horrible feeling they have right now will not last forever.” The best nurses meet the patients where they are. “Whether they are in active addiction or just beginning their life in recovery, addiction is a disease that must be managed one day at a time,” Bursey said. MINEOLA, N.Y. — It seems pregnancy is contagious among the mother-andnewborn-care staff at NYU Winthrop Hospital in Mineola, New York — 15 women in the labor and delivery unit and the adjacent neonatal intensive care unit are due to give birth between now and October. “We should make an announcement: ‘Anybody else? Come forward now,’” joked Katelyn O’Connor, 31, a physician assistant from Stamford, Conn., who is due to have a boy June 6. “Everyone says, ‘Don’t drink the water here,” said Kimberly Fan, 29, of Merrick, New York, a nurse due to have a boy Aug. 6.
have) to pay for parking, get child care and wait in the doctor’s office, only to be told after a 15-minute visit that their pregnancy was fine.” The potential of programs like OB Nest to make care more convenient and easily accessible to women who don’t live in urban areas is very appealing, said Kozhimannil. Although Mayo offers the program only in Rochester, it is moving ahead with plans to offer OB Nest to patients outside the Rochester area, said Butler Tobah. Other obstetrics practices are experimenting with remote-monitoring programs for low-risk expectant mothers, said Dr. Nathaniel DeNicola, co-chair of the telehealth task force for the American Congress of Obstetricians and Gynecologists. At the George Washington University Medical Faculty Associates in the District of Columbia, where he works, they’re one of several practices nationally using an app called Babyscripts to educate expectant moms, who can also transmit their weight and blood pressure data to the practice via a Wi-Fi connection. Some expectant mothers who use the app have fewer clinical appointments compared with the standard, he said. A crucial element of these emerging remote-monitoring programs is that they’re closely integrated with the work of clinical staff, DeNicola said. “All the remote monitoring is a way of augmenting traditional care, not replacing it,” DeNicola said.